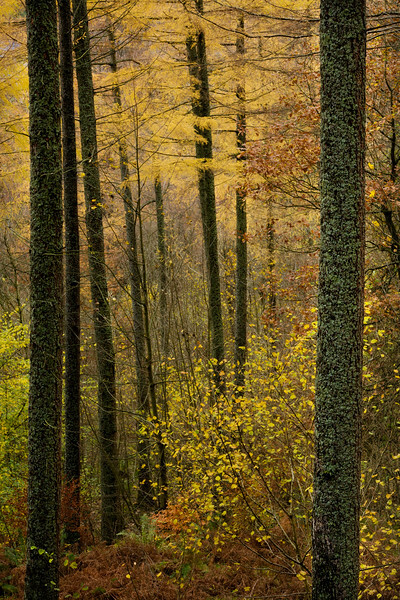 Autumn colours at their best in Borrowdale, Lake District National Park, Cumbria. 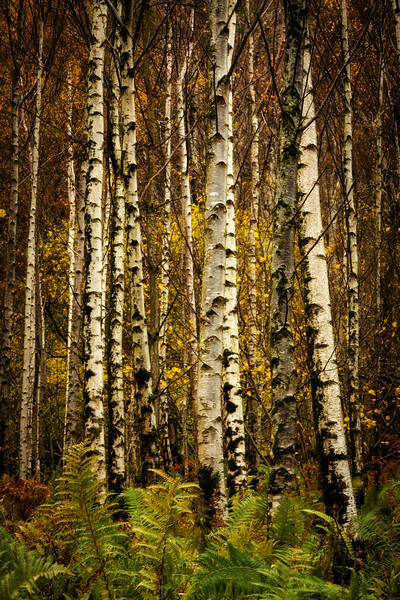 White birch bark and ferns, Great Wood, Borrowdale, Lake District National Park, Cumbria. Green lichen on larch tree trunks, Borrowdale, Lake District National Park, Cumbria. 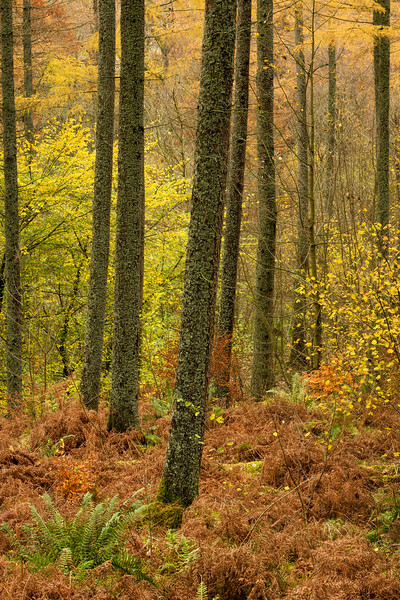 Green ferns and orange bracken amongst the larch trunks, tBorrowdale, Lake District National Park, Cumbria. 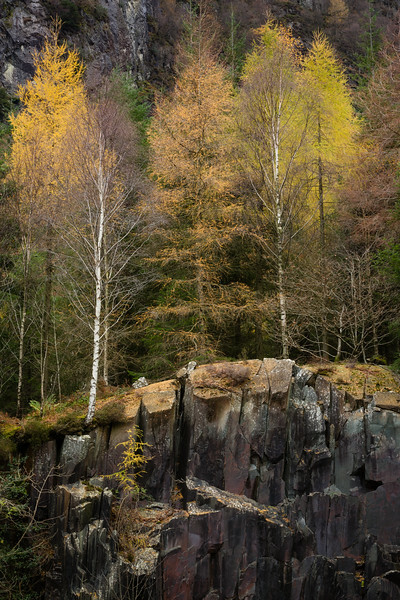 Birches and larch trees line the edge of a disued quarry, Borrowdale, Lake District National Park, Cumbria. 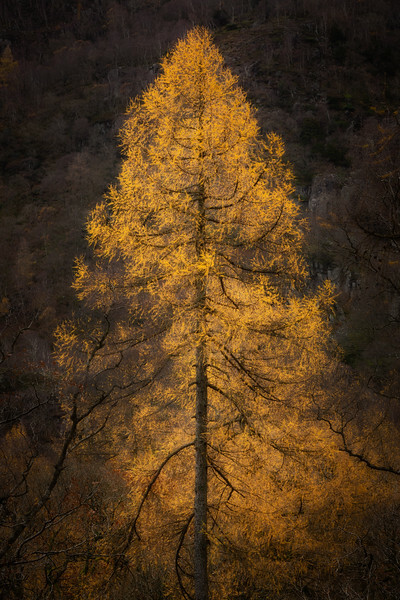 The "Fire Tree", brilliant yellow needles of the larch tree catch the light, Borrowdale, Lake District National Park, Cumbria.